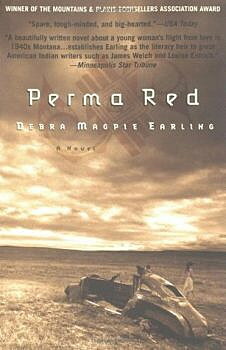 With the voting in, Debra Magpie Earling’s 2002 novel “Perma Red” is Montana’s favorite book. That’s according to the 2,500 votes cast in the Great Montana Read event, hosted by Montana Public Radio and Montana PBS. According to the poll, “Perma Red” is the state’s most beloved novel. More so than Norman Maclean’s “A River Runs Through It,” which placed second, and Ivan Doig’s “This House of Sky,” which placed third. A panel of seven Montana “literary experts” chose 20 books for voters to consider in the Great Montana Read program. The program is part of the larger Great American Read and its search for the nation’s most endearing novel. Voting for the Montana poll was cast on the Montana PBS website. Partners for ‘The Great Montana Read’ include the Montana Library Association, Humanities Montana, the University of Montana, Mansfield Library, the UM Creative Writing Department, MontanaPBS and Montana Public Radio.